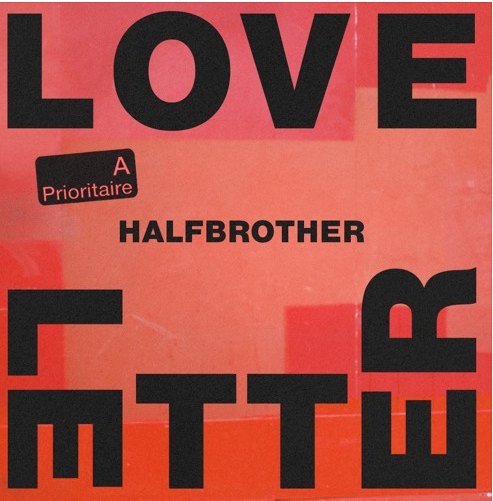 HALFBROTHER, the duo made up of Murkage Dave and Patrick Scally, have unveiled their new track ‘Love Letter’. Written and produced by the duo, the alternative pop number is the follow-up to their debut single ‘Go Tell The Mandem’ which i-D described as ‘quietly profound’ and ‘remarkably lucid’. Forming after collaborating on ‘Car Bomb’ – which became a cult hit last year and culminated in support from Pharrell Williams on his Beats 1 radio show – HALFBROTHER have been steadily making their mark with their genre defying sounds and thought-provoking observations on identity and challenging social norms and roles, catching the attention of outlets such as DIY, Earmilk and Mass Appeal along the way. So come and witness their climb and check out ‘Love Letter’.